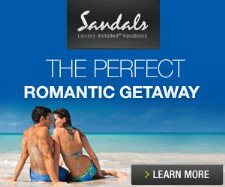 Sandals Negril interior grounds feature a tropical atmosphere with gardens and lush foliage. Wedding gazebo overlooking the ocean. Garden area behind the Paradise Building.